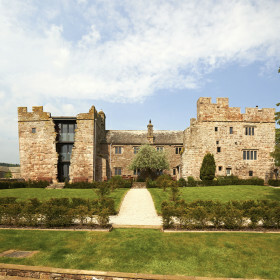 Birkmere Hall in The Lakes is one of the most unique homes in England. 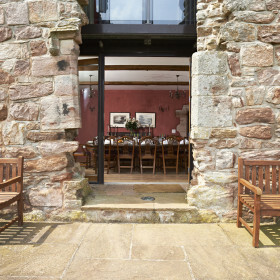 Dine, sleep and relax in two ruined towers, now luxuriously restored. 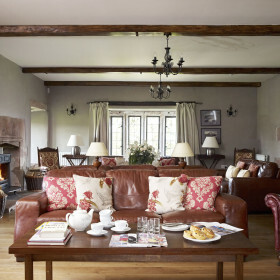 Walk the hills or recline in front of roaring fires. Soak your cares away in freestanding baths. Cater or be cooked for. 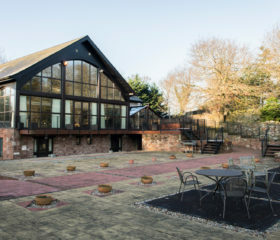 Birkmere Hall is simply spectacular. 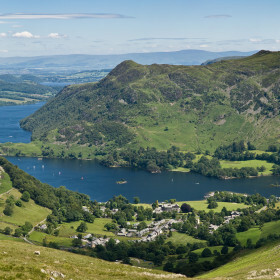 Recharge and rejuvenate at renovated Birkmere Hall in the Lake District. 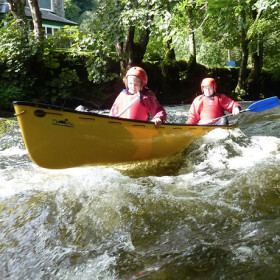 Enjoy the fruits of a multi-million-pound investment. Cater or be catered for. 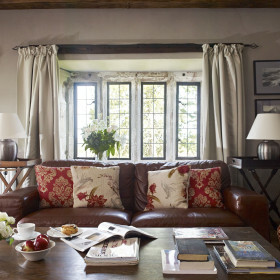 Walk the hills or recline on squishy sofas in front of roaring fires. This is the place to gather in a big and impressive way. Because lavish doesn’t quite do Birkmere justice. 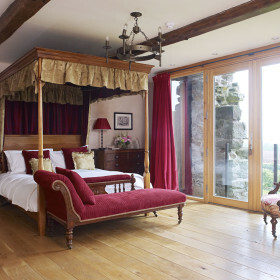 The Garden Bedroom in the North Tower comes with private en-suite wet room set into the curve of the spiral staircase. The West Range Master Bedroom includes a step-up en-suite with freestanding rolltop. And that’s just the bedrooms. 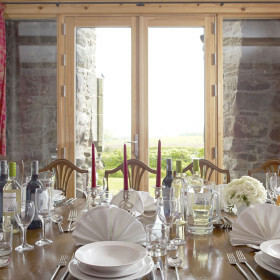 The kitchens are spectacular, but so are the dinner drop-offs or recommended caterers. 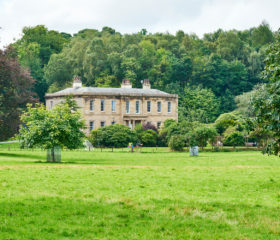 Try Staffield Hall meat pies; pick your own fruit from the Rowley’s Raspberries field. 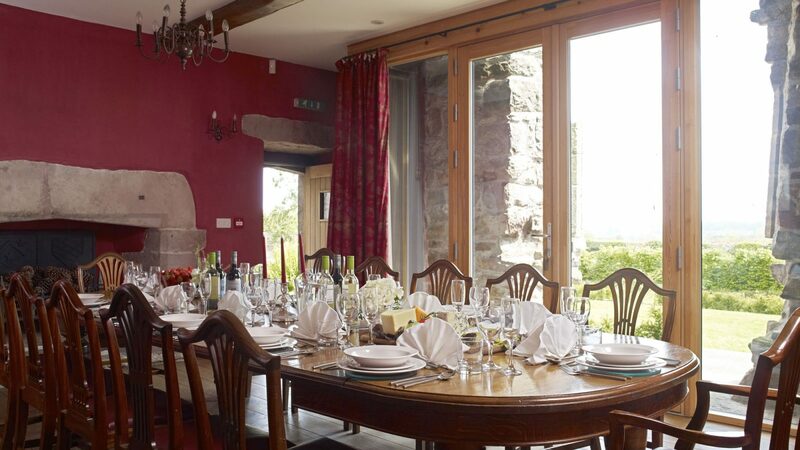 You can laze here for hours and admire the views across the Eden Valley and the nearby Lakeland fells. 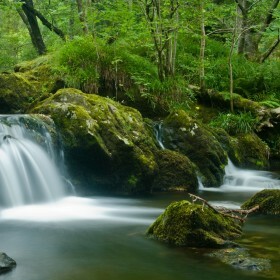 You can fish for brown trout in the tributary to the River Petteril which is located in the neighbouring field, shoot clay pigeons nearby or just take a pre-prandial stroll. 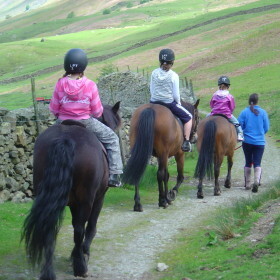 In the evening, take a walk to the Boot and Shoe pub in Greystoke and cap another great day in the Eden Valley. Get everyone down to Birkmere Hall and enjoy the luxury of having space to be together or spaces to be apart. 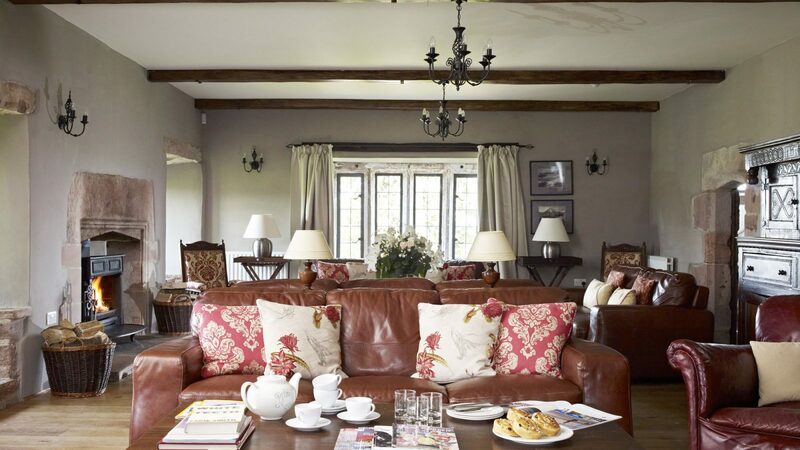 Perfect for a gathering, Birkmere comes with sumptuous interiors that invite milling around with drinks in happy groups just as much as curling up with a good book on squishy sofas by the wood burning stove. 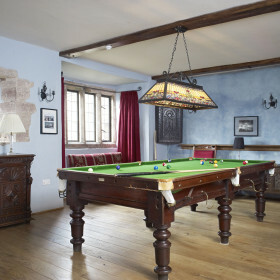 Superbly presented communal rooms include the games room, ideal for enjoying an aperitif over a game of snooker. 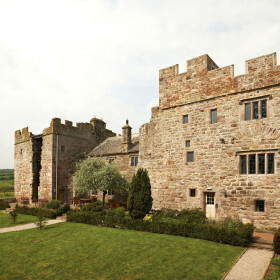 The solar is a stunning space, taking up the whole first floor of one wing of the castle. The kitchen is huge and packed to the gunwales with culinary aids. 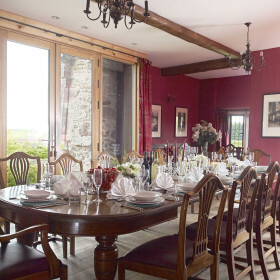 Once you’ve cooked up a storm (or been cooked for), the splendid dining room is the place to enjoy it, with its bucolic views through the French windows. 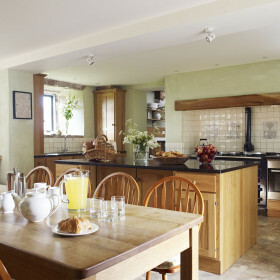 At Birkmere Hall a huge kitchen comes fully loaded, with four-door oven-gas Aga, separate hob and electric oven. There are two American-style side-by-side refrigerators, a microwave, two dishwashers, a washing machine and tumble dryer. If you prefer to dine with the sun on your back, a Weber barbecue awaits you sizzling steaks. 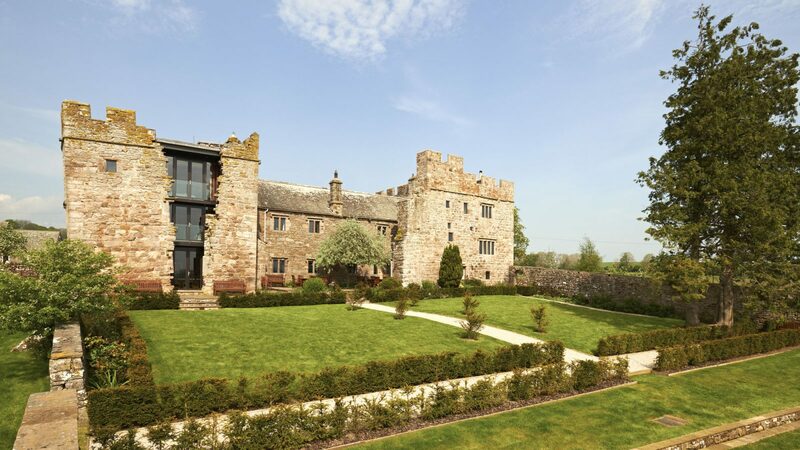 The bedroom is where the day ends, but with several luxurious options split over the two castellated towers of Birkmere Hall and three luxurious nearby cottages, it’s tough to know where to begin. Need space to sprawl? The South Tower’s two bedroom suites each occupy an entire floor and come with opulent private bath and shower rooms. 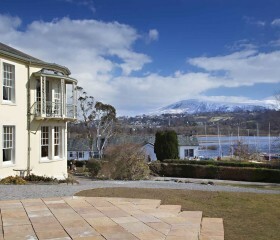 Take the private stairwell up to the master bedroom, then take in the Lakeland views from the Juliette balcony. Linger over the outfit du jour in the private dressing room; luxuriate in the bathroom and choose from cast-iron rolltop bath or walk-in shower. When you hit the sack, it’s an antique oak-carved four-poster. 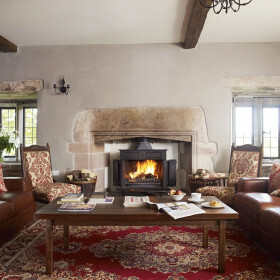 The luxury continues in Cromwell’s Folly with adjoining private en-suite. Spread across the entire first floor of the South Tower, it comes with four-poster and choice of cast-iron rolltop bath or rainfall shower. Another indulgent Juliette balcony overlooks the formal gardens. 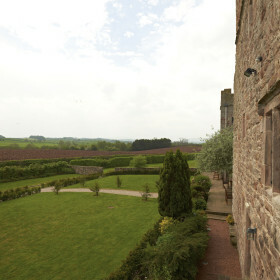 The West Range bedrooms overlook the orchards. Choose the West Range Master Bedroom and enjoy a step-up en-suite with walk-through shower and freestanding cast-iron rolltop. 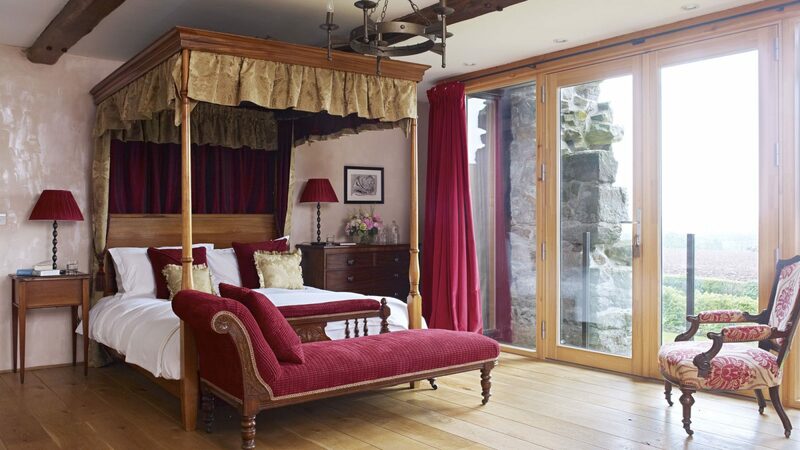 Ideal for kids, the Greystoke Room has twin single beds with private en-suite and shower bathroom. For sheer theatre, the Cumberland Room wins hands down. 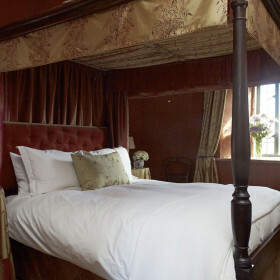 Luxuriate in the antique, silk-curtained four-poster bed with the dark oak furniture adding to the historic flair. In the North Tower there are two bedrooms on the Ground Floor. 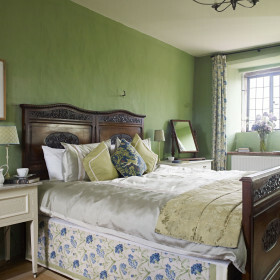 The Garden Bedroom comes with five-foot-thick walls and private en-suite wet room. 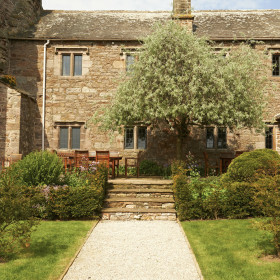 For moments of quiet reflection or pre-breakfast stroll, you’ve private access to a low-walled garden. 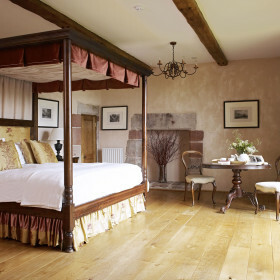 Follow the oak-floored passageway to the Adam de Blencowe Bedroom. Spread out in the 6′ king-size bed or split into two singles. 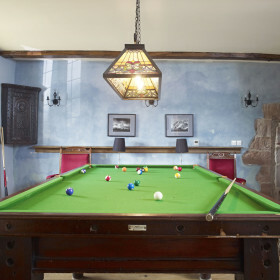 However you play it, you’ll love the private en-suite with cast-iron bath and rainwater shower.